... on the water edge. ... from trained local guides. ... happy to visit you. ... with you and the locals. Your local English speaking guide will pick you up around 8 AM from your hotel in Myeik. Our supply boat will take you from Myeik harbor to the close by mangrove channel. 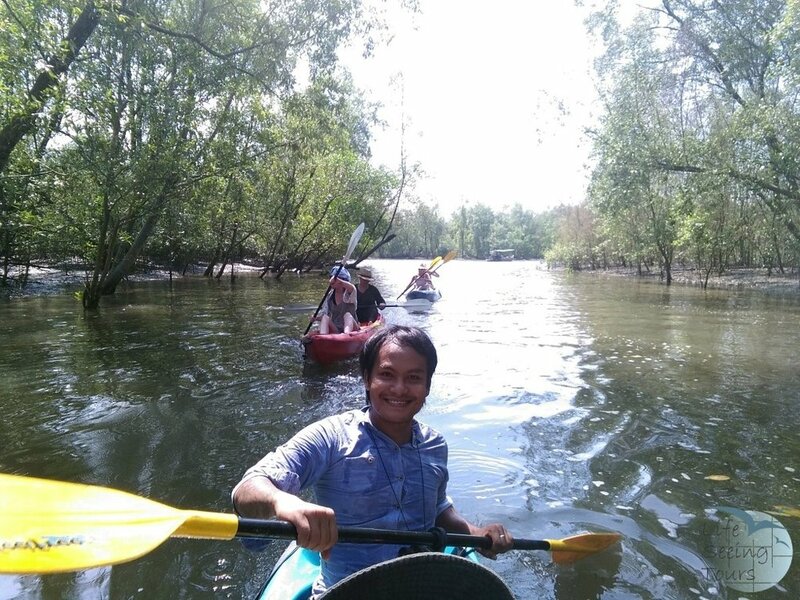 From there we start kayaking along beautiful nature without harming the surroundings. Enjoy to be out in the mangrove and listen to the different birds. With a bit of luck you will spot also some otter and monkeys. We will talk about the importance of an intact mangrove system for fish and human alike. We havel lunch at Masanpar Fishing Village and get in touch with the local people. Afterwards we continue by boat to Tatagyi Island to relax on the beach. We return to Myeik around 5 PM in the afternoon.